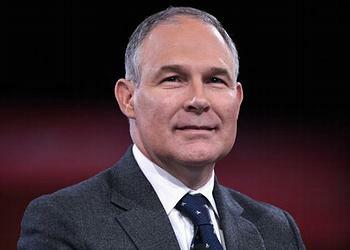 WASHINGTON, DC, February 17, 2017 (ENS) – Oklahoma Attorney General Scott Pruitt today won Senate confirmation to head the Environmental Protection Agency, EPA, the federal agency he has sued multiple times during the Obama administration in attempts to limit its control of industry. The Senate voted 52-46 mainly along party lines to confirm President Donald Trump’s choice to head the agency in charge of keeping America clean. As EPA Administrator Pruitt will be responsible for ensuring the safety of America’s air and water, repairing aging water lines and treatment plants, cleaning up hazardous waste sites, and enforcing environmental laws and regulations that help protect precious natural resources. Two Democrats voted to confirm Pruitt: Senator Heidi Heitkamp of North Dakota and Senator Joe Manchin of West Virginia. One Republican voted against Pruitt, Senator Susan Collins of Maine. Two senators did not vote: Democratic Joe Donnelly of Indiana and Republican John McCain of Arizona. Pruitt won confirmation despite strenuous calls from Senate Democrats to delay the vote at least until Tuesday, February 21. On that date, a Federal District Court judge in Oklahoma has ordered that the Oklahoma Attorney General’s office release thousands of emails between Pruitt and the oil and gas industry, the coal industry and the utility industry. 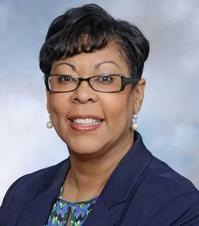 The Center for Media and Democracy filed suit against Pruitt for improperly withholding public records and Judge Aletia Haynes Timmons ordered his office to release the emails on February 21. In an attempt to stave off the Senate vote until those documents are released and can be reviewed to determine Pruitt’s fitness for the post, Senate Democrats held the floor for 30 hours. U.S. 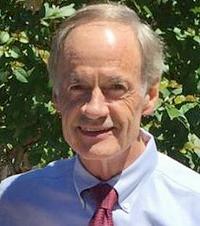 Senator Tom Carper of Delaware, top Democrat on the Environment and Public Works Committee, said on the Senate floor, Thursday, “Throughout my years in the Senate and as member of the Environment and Public Works Committee, I have had the opportunity to consider the credentials of five different nominees to serve as EPA Administrator – individuals put forth by both Democratic and Republican Presidents. “I have supported candidates of both parties in the past because they were able to clearly demonstrate their commitment to advancing the mission of the EPA – to protect human health and the environment,” said Carper. “In the hearing, I asked Mr. Pruitt three times if he thought mercury and air toxic emissions should be regulated from power plants. In the hearing, he responded three times in a vague way that seemed to imply that he supported such action. But his past actions tell a different story,” Carper warned. 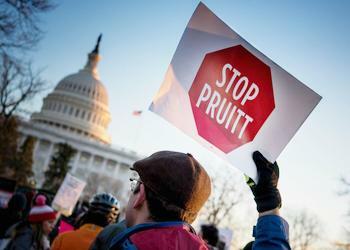 Carper pointed out that just two months before his hearing before the committee, Pruitt joined a legal brief with one of the largest coal companies in the country arguing the benefits of cleaning up mercury and air toxic emissions from power plants are “too speculative” and therefore, not necessary. “Never have I been forced to consider a candidate to lead the EPA who appears to have been so focused, throughout his career, on crippling the agency he now seeks to lead or so hostile to the basic protections that keep Americans and our environment safe,” the Delaware senator said. On the Republican side, applause for Pruitt’s confirmation was loud and clear. “I have known Scott for many years and have been privileged to work with him in his role as Oklahoma Attorney General. 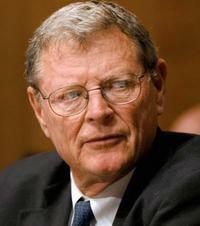 He understands the need for balance – something the EPA has been lacking for far too long as evidenced by the federal overreach, unlawful rule making, and duplicative red tape under the last administration,” said Inhofe. Senate Democrat Joe Manchin of West Virginia, a deep coal state, voted with Republicans to confirm Pruitt, promising to hold the new EPA administrator to account for his decisions. 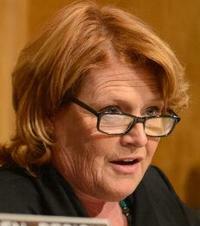 The other Senate Democrat to support Pruitt was Senator Heitkamp of North Dakota, a shale-oil and biofuel producing state. “I’ll work to make sure EPA focuses on smart regulation and works with states and local communities to address issues like the unworkable Waters of the U.S. rule and the punitive final Clean Power Plan rules,” Heitkamp said. Environmentalists are solidly opposed to Pruitt’s confirmation. “Pruitt is a climate denier and Big Oil crony who has spent his career suing the agency he’ll now lead,” said Ben Schreiber, senior political strategist with Friends of the Earth. “I won’t sugarcoat it: It’s a blow to the agency and the laws that protect our air, our water, and the health of our families – and it will only make our jobs harder,” warned Anna Aurilio, federal legislative director with Environment America.